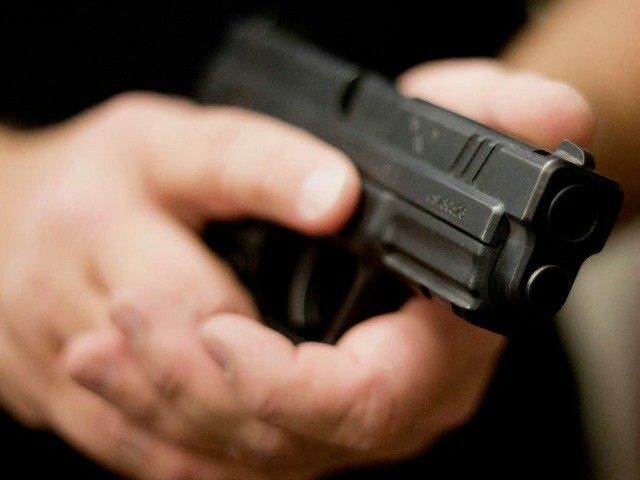 At mid-morning on December 26 a Southlake, Texas, man saw a drew his gun to stop a domestic attacker who he spotted “hitting” a woman on the side of the road. In video taken with a cell phone and released by CBS Dallas-Fort Worth, the good Samaritan can be seen exiting his own car with his handgun drawn, and holding MacMichael Nwaiwu at gunpoint by a red car until police arrive. The unnamed armed citizen told police he stopped and intervened because he saw Nwaiwu “hitting” his girlfriend, who was sitting in the passenger seat of the red car. Nwaiwu was arrested and jailed.